I have a recipe to help you get through that mid-week hump! This cookie are simply amazing!!!! So amazing that I only ate two, because my Husband took them ALL to work by mistake. He thought they were his weekly chocolate chip cookies. I get a text when I was at work and he said, hey Hun, the cookies you made are really good, but I think I may have taken the wrong ones. These taste like peanut butter! Ugh…. My facial expression changed, my heart sunk and I was stuck at work. I panicked and said yes your cookies are in the freezer. He said, sorry, but these are really good. All I thought was he probably only took like 5 or 6 cookies, so I skipped my workout to run home for cookies, only to find the bag was gone. THE WHOLE BAG!!!!!!!!! Gosh darn it he took them all. Now he and his Friends are eating MY cookies!! Then to top it off, I asked so did you eat all the cookies, he replied nope, I still left some on my tool box. What the heck! He had leftover cookies and didn’t even bring them back home. I was so sad!!! So sad!!! I would have made more but I didn’t have all the ingredients! 🙁 But they shall be made again!! Lucky for me, the memories will last with the pictures I am posting. 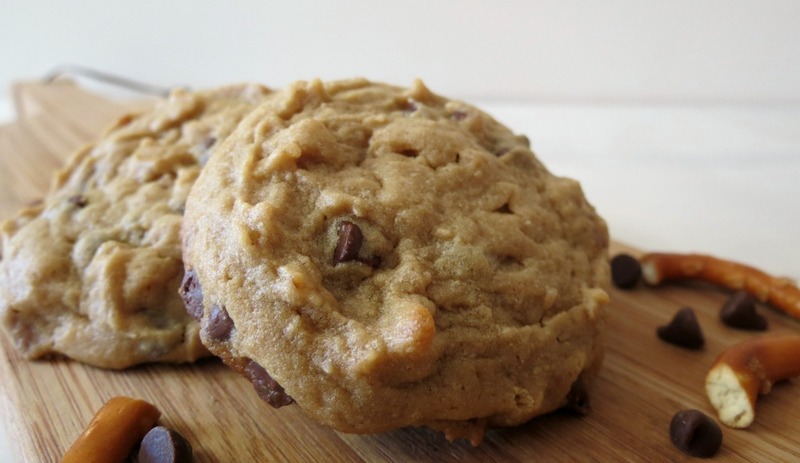 By the way these are Peanut Butter Pretzel Chocolate Chip Cookies! I got the recipe for these cookies from Michelle from Brown Eyed Baker. She posted them last week, and when I saw them, I knew I must have them in my belly!!! Big thank you to Michelle for giving me permission to share her recipe with you. These cookies are one of the best! 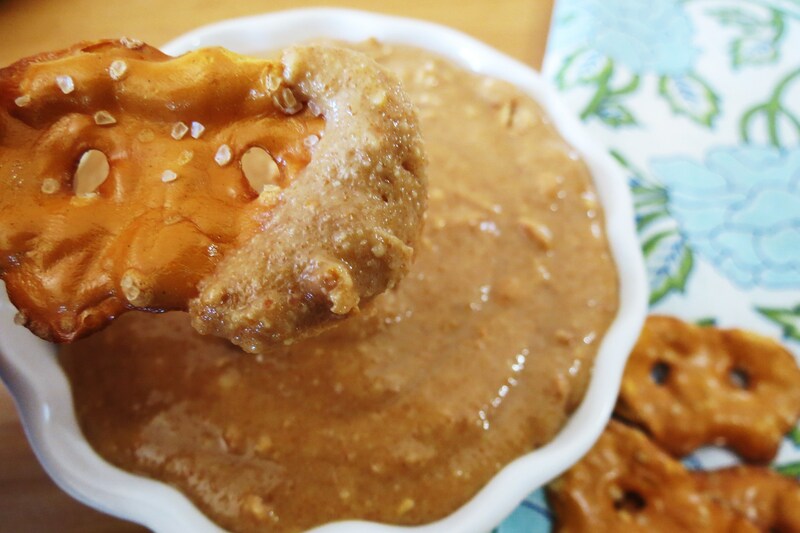 Nothing beats salty pretzels and peanut butter, oh baby!!! 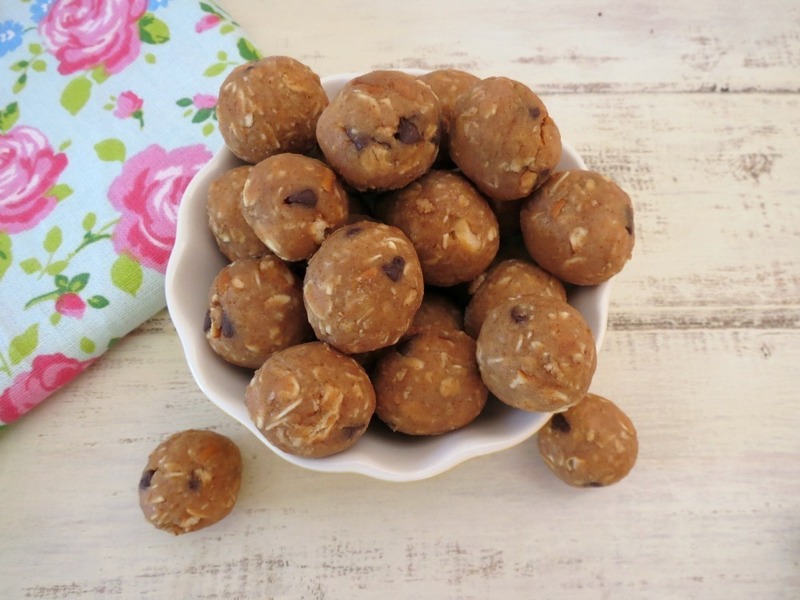 You know how I LOVE peanut butter and pretzels together from recipes like my Chocolate Pretzel Almond Chickapea Balls. 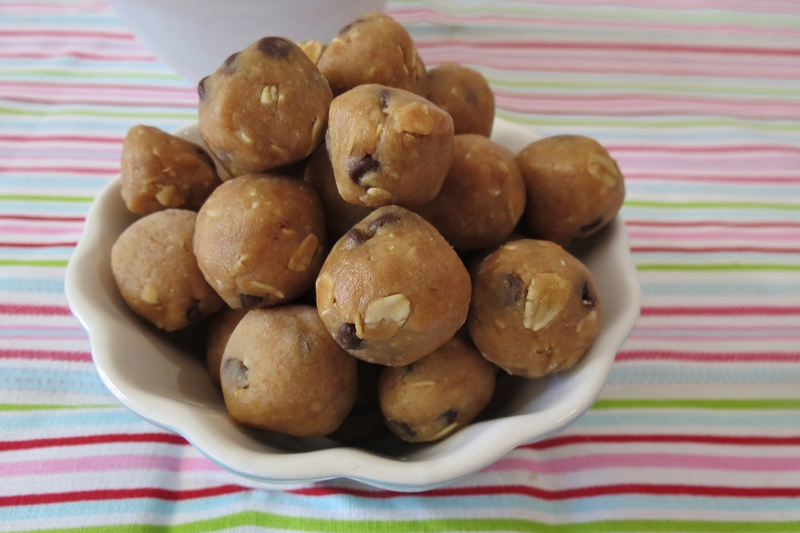 Or my Peanut Butter Chocolate Chip Pretzel Balls…. And my Honey Roasted Pretzel Peanut Butter. Yum!! 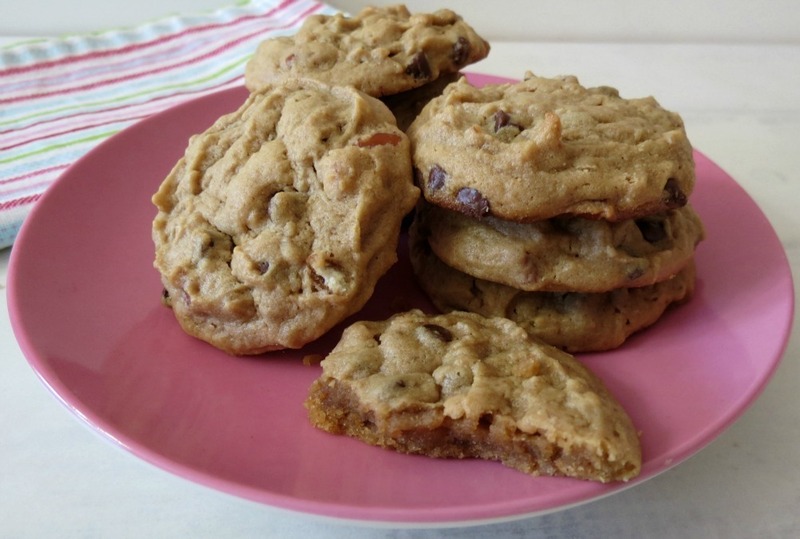 Michelle’s cookies are soft, sweet, chocolaty and best of all peanut buttery! 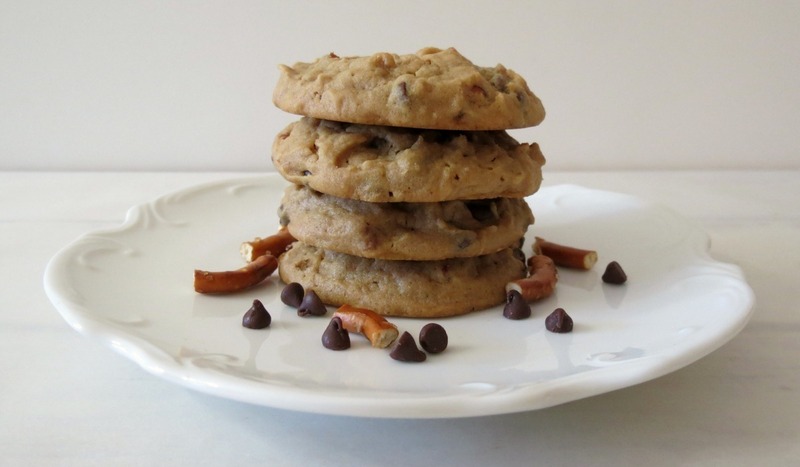 The pretzels added to the cookies give a nice texture plus a nice hint of saltiness. I did change-up Michelle’s recipe just a bit, only by exchanging the shortening for butter and adding only 1 cup of brown sugar instead of 1 1/4 cups, but the rest is the same. Because I didn’t use shortening in the cookies, my cookies are a bit more soft. Michelle said to roll the cookies, but my dough was pretty soft, so I just scooped it with my cookie scoop. I did ask my Husband how they held up and said great. For a man who doesn’t like peanut butter, he certainly loved these cookies! Darn him!! 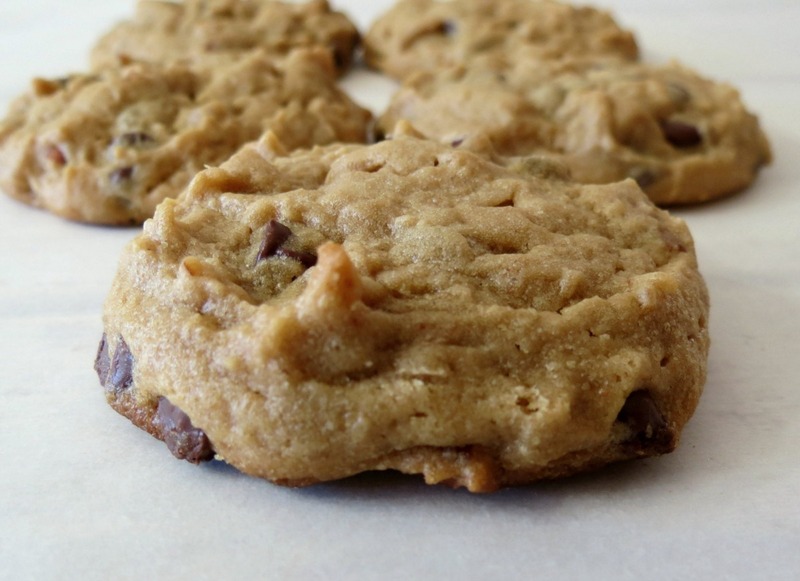 A sweet and salty peanut butter cookie, chock full of chocolate chips. Preheat oven to 375°. Line two baking sheets with parchment or a silicone baking mat. Whisk together the flour, crushed pretzels, baking soda and salt in a small bowl; set aside. In a large bowl, combine the brown sugar, peanut butter, butter, milk and vanilla extract. Beat at medium speed until well blended. Add the egg and beat just until blended. Reduce speed to low and add the flour mixture gradually, mixing just until combined. Using a rubber spatula, stir in the chocolate chips. Use a medium cookie scoop (or 2 tablespoons) to scoop dough and place on the baking sheets, about 2 inches apart. Bake for 8 - 10 minutes or until set and beginning to brown around the edges. Cool for 2 minutes on the baking sheet before removing to a cooling rack. Store in an airtight container at room temperature for up to a week. I know these cookies are not my normally way healthy cookie that I normally make, but the stats are better than I thought they would be and it’s good to treat yourself every once in a while. Oh and I made these cookies pretty big too! I filled my cookie scoop to the rim with batter, you could always make them smaller. I know you probably all know Michelle’s blog “Browned Eyed Baker”, but if you don’t, you should really check it out! Her recipes are all amazing and in case you didn’t know, I also made her Cherry Coke Cupcakes for Little Jenny’s birthday. They were a hit, but I wasn’t surprised. I was really surprised to on the nutritional value! I was expecting near 200! 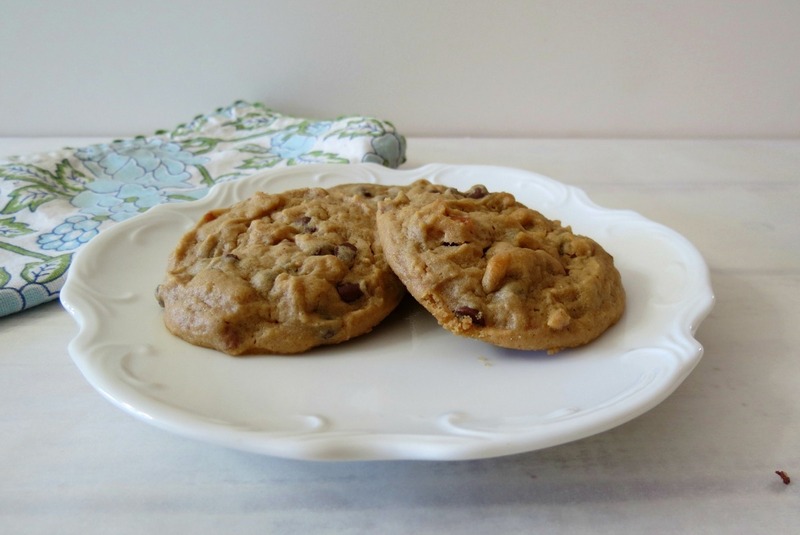 I love the sweet saltiness in these cookies, Jennifer! They look sooo soft and perfectly chewy. A must-make cookie, for sure! You have to make them, they are simply delish! The combo or pretzels and PB with chocolate chips is so good! One of my all time favorite combos! I know unfair right! He just doesn’t get it! Lol, The two that I did get were amazing! I have to make them again and soon and then hide them! This is for the cheat day! Man you did a fantastic job on these, they look AMAZING! Beautifully executed, great job! I want some now! LOL! It’s perfect for a cheat day! Wish I could of had one, but darn that Husband of mine for taking them all! Ooooh la la, do these cookies look delicious! And I love the idea of adding pretzels to sweet treats, as well. Perfect dessert bites! Looks so great! Yummy! This is first time I am visiting your site. I’ve been enjoying reading your blog posts.Thanks! These cookies look fantastic! There are so many of my favorites in one place. Gotta try these out! I would have been so ticked if my hubs took my beloved cookies! I don’t think they fully appreciate it like we do, either. To them, it’s just … a cookie. To us, it’s like, the reason for living. Lol You know what I mean. But like you said, you can always make more. And Michelle does have some great recipes and I had forgotten about these. Thanks for the reminder! Jennifer, I feel so sad for you! I’d have been beside myself if all my cookies were gone! At least he enjoyed them (save for the poor cookies left in the toolbox). These are amazing – I love that sweet salty combination. I loved this post – you totally made me laugh, girl. Ohh noo! That is horrible!! LOL. These look great!!! I have salted pretzels, would that be ok, or would that totally throw off the taste? Hi Valerie! I used salty pretzels, so yup they will work! I have a great day! So i just made these, and as I’m pulling the first batch out, I realize I forgot to put the chocolate chips! Still, the salty-peanutbuttery taste is kind of awesome! I need a cookie scooper though, my batch only came up to 25. Thank you so much for the awesome recipe! Just made peanut butter cookies but mine don’t have pretzels in them, yummy!! So i just made these, and as I’m pulling the first batch out, I realize I forgot to put the chocolate chips. Still, the salty-peanutbuttery taste is kind of awesome! I need a cookie scooper though, my batch only came up to 25. Thank you so much for the awesome recipe!